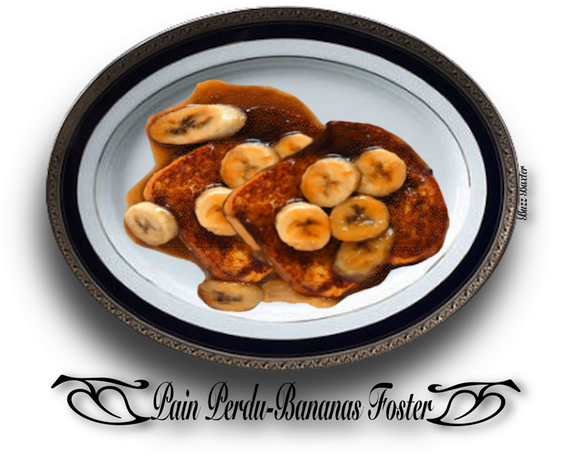 PAIN PERDU WITH BANANAS FOSTER - THIS IS NO ORDINARY FRENCH TOAST! The classic French toast with a definite New Orleans touch. has lost nothing in this Americanized version. This recipe will not only please your guests, but have them asking for the recipe. cinnamon, and vanilla, to dissolve the sugar. 1. In a sauté pan, melt 2 tablespoons of the butter. 2. Add the pecans and sauté for 4-5 minutes, stirring constantly. brioche is my favorite choice.